Born and educated in Winchester, England, Donald Geikie began his career in international hotel management with the prestigious Savoy Hotel Group in London. He then joined the equally prominent five-star Hotel de Crillon in Paris. After relocating to the United States in 1975, Donald settled in San Francisco for what was supposed to be a year-long assignment for the Stanford Court Hotel. Instead, he fell ... more.in love with the United States and chose to make it his permanent home. A proud Sarasota resident since the mid-1980s, Donald has been a top-producing agent with Michael Saunders & Company for more than 22 years. His approach to customer service includes superb negotiating skills and always taking the steps necessary to ensure a smooth and satisfactory transaction. As such, Donald consistently earns high praise from both his customers and colleagues, and has built a solid business based on their frequent referrals. Donald has been active in Sarasota's gay and lesbian community for nearly 25 years, organizing the first AIDS benefit in Sarasota in 1988, and helping to start the PWA (People with Aids) dinners at St. Martha's Church from the late ‘80s to early ‘90s. 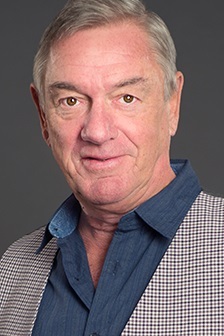 Donald is also president and founder of GREEN (Gay Real Estate Executive Network), a professional networking group formed in 2005 with more than 50 members from a variety of different real estate companies and related businesses. It has since grown to include members of both the LGBT and straight communities, their mutual purpose to better serve all people relocating to Southwest Florida. For his tireless work in helping secure full equality for the LGBT community along Florida’s Gulf Coast, Donald recently received the Voice for Equality award at a gala banquet hosted by the statewide organization Equality Florida. In 2004, Donald formed a partnership with Dana C. Westmark in order to furnish their clients with the seamless 24/7 attention they deserve. Their clients thus reap the benefit of having two professionals at their beck and call, each with a singular focus on service and satisfaction. Donald and Dana are regular contributors to "This Week in Sarasota," a popular blog spot that highlights the events and activities that make Sarasota such a unique and diverse place to live. Their weekly real estate blog, entitled "He Says, She Says," spotlights some of Sarasota's best buying opportunities while playfully bringing their extensive real estate experience to life. Donald currently resides in the charming Bayside neighborhood of Coral Cove, in the home he shared with George, his late partner of 37 years. An active contributor to the community, Donald supports a number of not-for-profit organizations. In his spare time, he loves to entertain at home, is a devoted bridge player and an avid gardener. Consistently voted a "Five-Star Real Estate Agent" by his customers, Donald will manage each of your real estate needs while advocating for your best interests every step of the way. ...less.